To view our current openings, click here! RTI International is one of the world’s leading research institutes, dedicated to improving the human condition by turning knowledge into practice. RTI employs more than 3,700 individuals who provide research and technical services to governments and businesses in more than 75 countries in the areas of health and pharmaceuticals, education and training, surveys and statistics, advanced technology, international development, economic and social policy, energy and the environment, and laboratory testing and chemistry analysis. For more information, visit www.rti.org. Greene Resources identifies top talent for all contract labor for RTI International. Through our partnership with RTI International, we have had the opportunity to connect people with RTI International in such a way that jobs have become purposeful, impactful, and long-term careers. 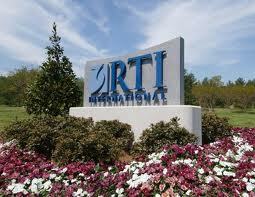 We look forward to working with you to explore career opportunities with RTI International.